What is due diligence? When and how should you do it? Due diligence is one of those terms that you may understand on the surface but don’t know how to put it into practice. The dictionary definition says that due diligence is “the care that a reasonable person exercises to avoid harm to other persons or their property.” In plain English,due diligence means doing your homework. Before putting your business funds to work on anything, you should make yourself an expert. Often, due diligence is used to describe the investigation done before purchasing another company, so let’s start there. How do I perform due diligence? Let’s assume that you are planning to buy out one of your competitors who is retiring. The business is attractive to you because it’s perfectly positioned in an area of town that is tough for your business to reach. Before you purchase the business, you (often with the help of professionals like Uphando) will perform due diligence. By looking at the books, can you tell where the revenue stream is coming from? If the company has physical assets, are they valued correctly and fairly? Are there any hidden liabilities? Of course, this is a very short list of the due diligence that would take place before purchasing another business, but maybe you are not in the market to purchase a business. Maybe you’re planning to purchase a new building, add a new vendor or product line. There are plenty of decisions you are likely to make where proper due diligence is key. Due diligence is time consuming, inconvenient, tedious, and sometimes expensive. It goes beyond the basic checks you would normally make and it’s safe to say that if you didn’t find it to be about as fun as going to the dentist, you probably didn’t do it right. You should know just as much about the business or person as you do about your own business. 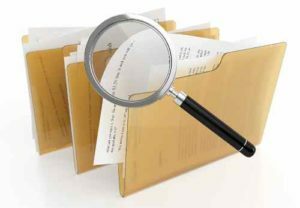 Above, we’ve outlined a brief overview of some of the due diligence questions you might answer when performing common business activities. For other decisions, produce a checklist of your own and make sure to include the needed experts. Even if you’re in a financial field, you aren’t necessarily skilled at evaluating a company’s books, for example. It’s better to spend a little money now to avoid costly mistakes later. Thank you so much. All the best on your literary journey!